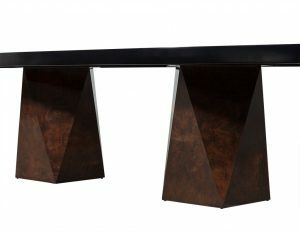 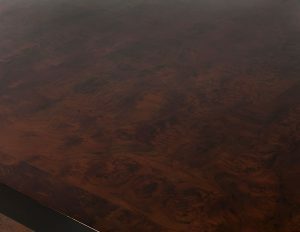 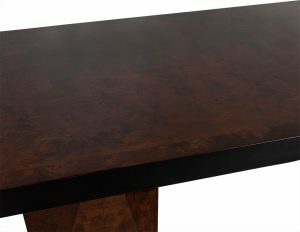 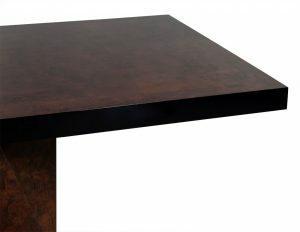 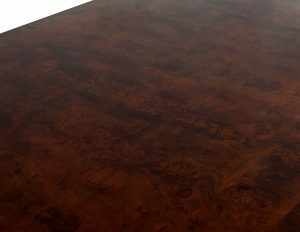 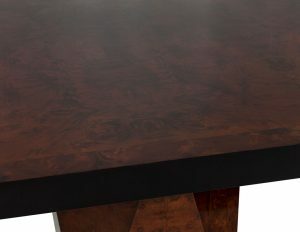 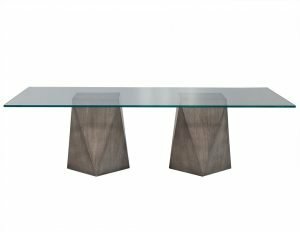 This made to order dining table is part of the Carrocel Custom collection. 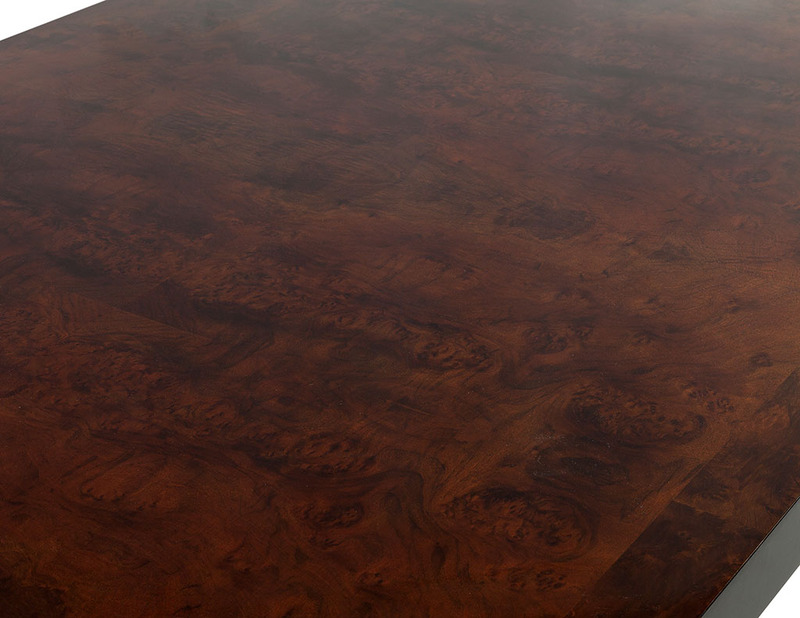 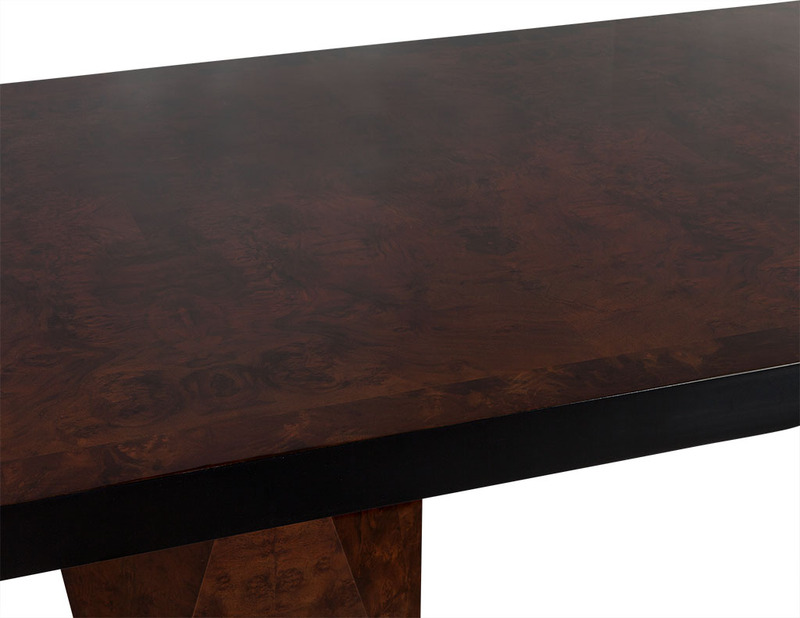 It is crafted out of beautifully matched burl walnut with a matching border. 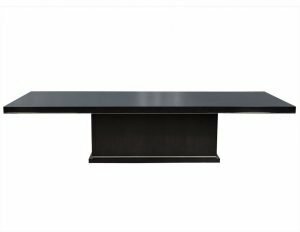 The top is hand polished for a deep, high gloss luster with an ebonized black edge. 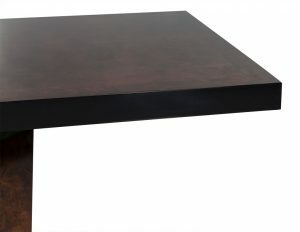 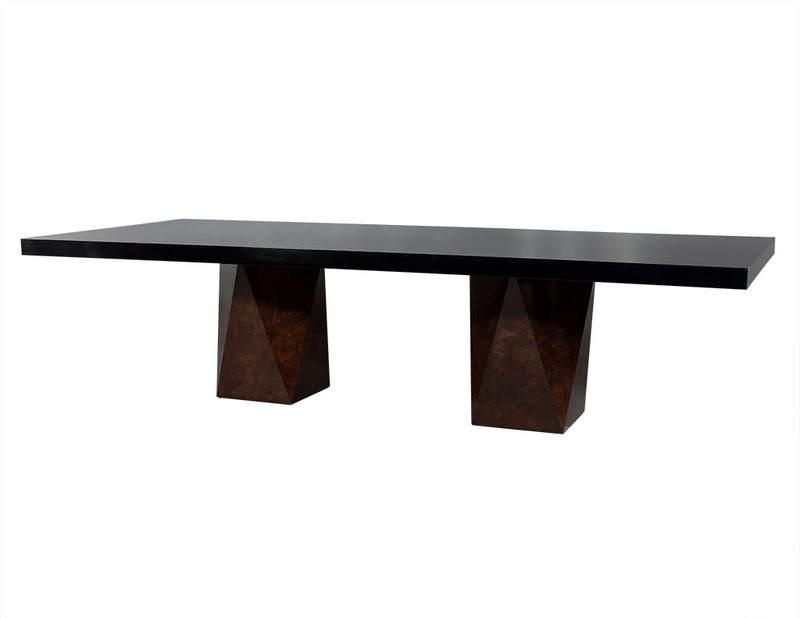 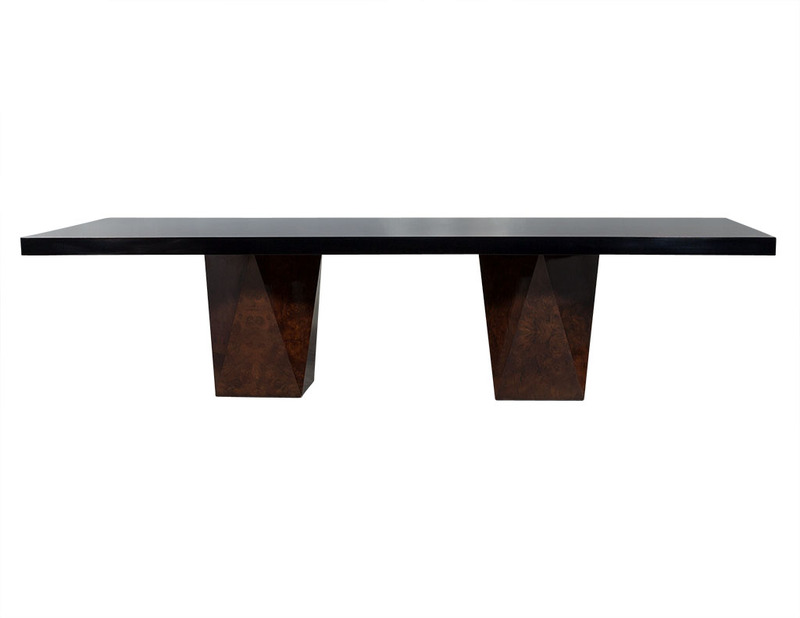 The piece sits atop a pair of geometric burl walnut pedestal bases, and is the perfect fit for a modern dining room!